A leading trust is in talks to launch a pioneering overseas exchange programme for nurses to improve retention and plug gaps when staff leave to go travelling. 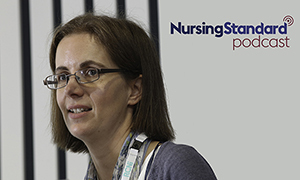 Speaking exclusively to the Nursing Standard podcast, Royal Marsden NHS Foundation Trust chief nurse Eamonn Sullivan says the organisation is in early talks to secure work placements for nurses at hospitals in Australia and Canada. The aim is to help nurses who want to travel to other countries find secure employment rather than agency work, and to then make it easier for them to return to the Marsden after travelling. If the programme goes ahead, Australian and Canadian nurses can come to work at the Marsden, filling the temporary vacancies created by nurses going to work abroad. The proposed programme follows a 2016 investigation by Nursing Standard, which revealed that thousands of nurses consider leaving the UK every year to work overseas. The proposed exchange programme came about after the Marsden held extensive interviews with staff to try to improve retention. Mr Sullivan says: ‘When we did our interviews, we found that the emotional impact of caring for people – especially caring for young people with cancer – makes nurses re-evaluate their life choices. ‘So, young nurses say "I’m going to Australia", or "I’m going to live nearer my parents". The Nursing Standard investigation revealed that between 2011 and late 2016, the Nursing and Midwifery Council (NMC) issued 26,028 verification certificates – documents required by overseas employers that prove a nurse’s registration, training and qualifications. Australia was by far the most popular destination for nurses in search of a new life, followed by the United States, the Republic of Ireland and New Zealand. Overseas nurses who have practiced in English and were qualified on English-speaking courses are no longer required to take language exams to work in the UK, following a relaxing of the rules by the NMC on November 1. On the podcast Mr Sullivan also discusses career structures and succession planning, to help retain staff at the other end of their careers. Also featured in this week's episode is the moving story of Sam Morrish, a three-year-old boy who died of sepsis after warning signs were missed. His mother, Sue, talks of the pain, confusion and errors of communication during his final 24 hours. University of Northampton associate professor Sarah Neill discusses ways to promote sepsis awareness and reduce the tendency of parents to think their concerns will be dismissed. She says: 'It is not uncommon for me to hear parents say "I worry whether or not I should contact the doctor. I worry that they'll be critical of me if I do and I might be seen as a time-waster". Both Ms Morrish and Ms Neill were recorded talking to the Nursing Standard podcast during the Nursing Children and Young People conference at Alder Hey Hospital in Liverpool on 9 November.